Race is always about decision-making in fractions of seconds. And it’s not just about pedaling, speeding, and steering. For all this, you must also correctly calculate speed needed to pass the turn. 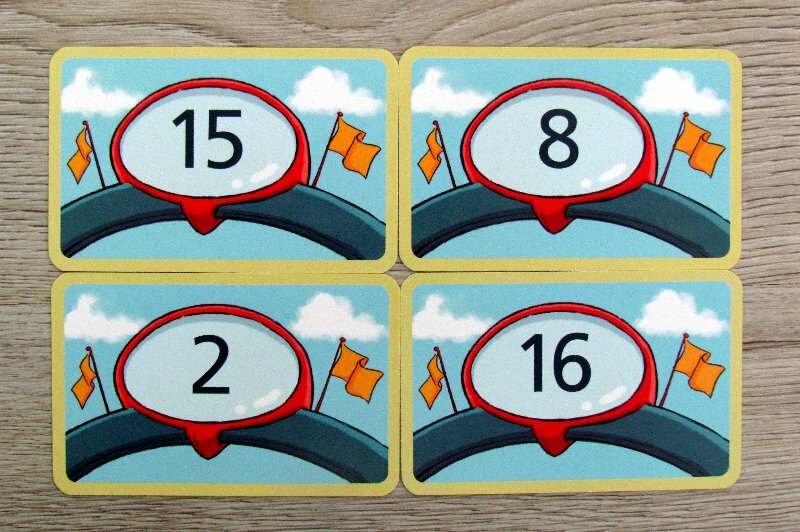 And because such a racer usually has a navigator, this hot seat will belong to the players in the new game Math Rally (Rechen Rally in original). 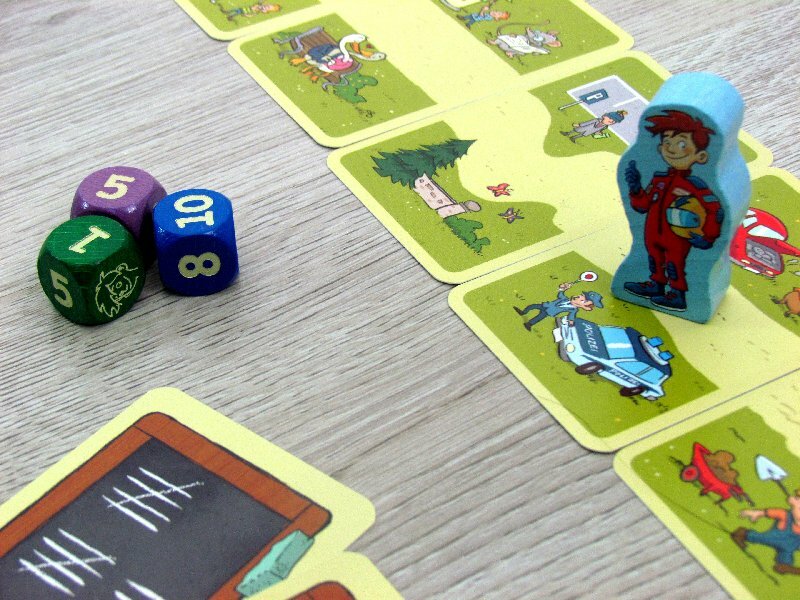 This is fun game for small preschool children, that HABA has prepared for us. 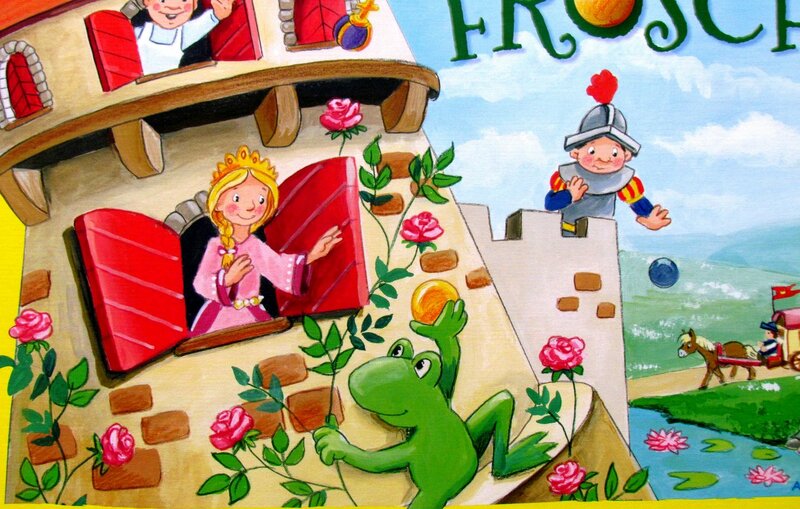 Author of the news is Wolfgang Dirscherl and Tobias Dahmen decorated it with his illustrations. 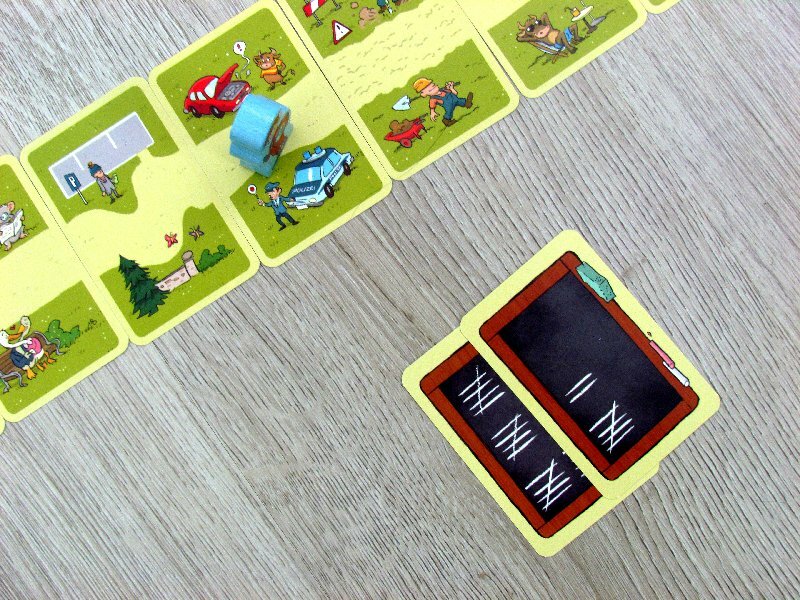 A complete box was published in 2017. And this is a sheet metal box with lid on the hinges. 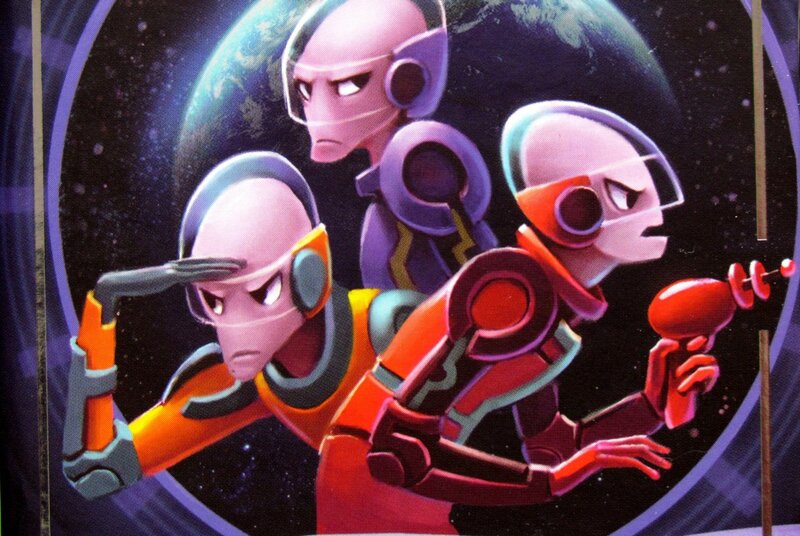 On it, we see line commander with the target flag and behind him five fast racing machines. 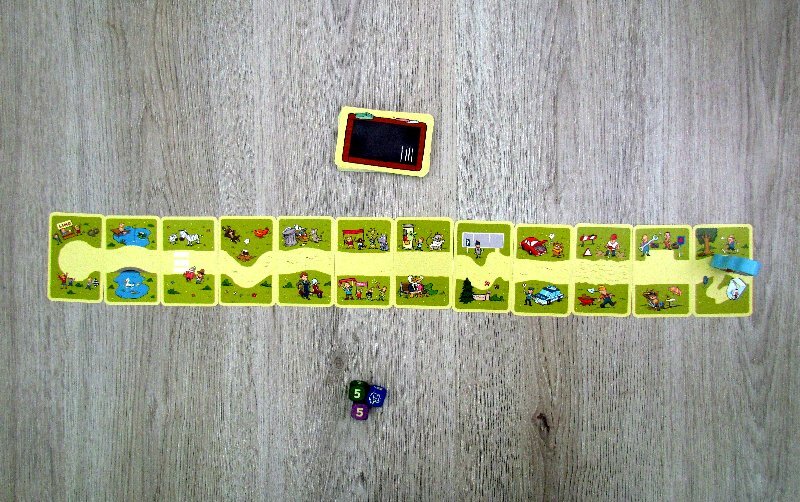 At the start of the game, the participants take a set of track cards and place them in a line to create entire route. One side connects horizontally, the other one is in landscape orientation according to the chosen game variant. Track always ends with the finish line. 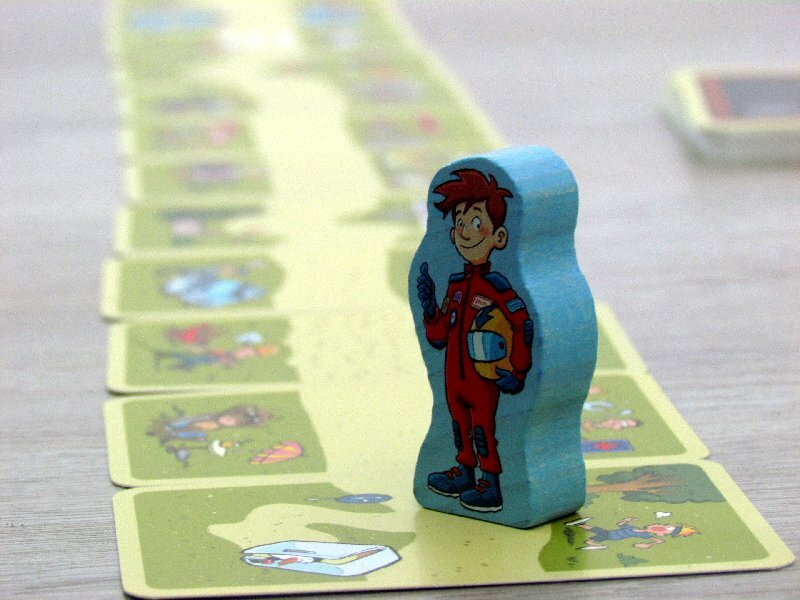 On the first field of the route, players put wooden figure of Rick the Racer. 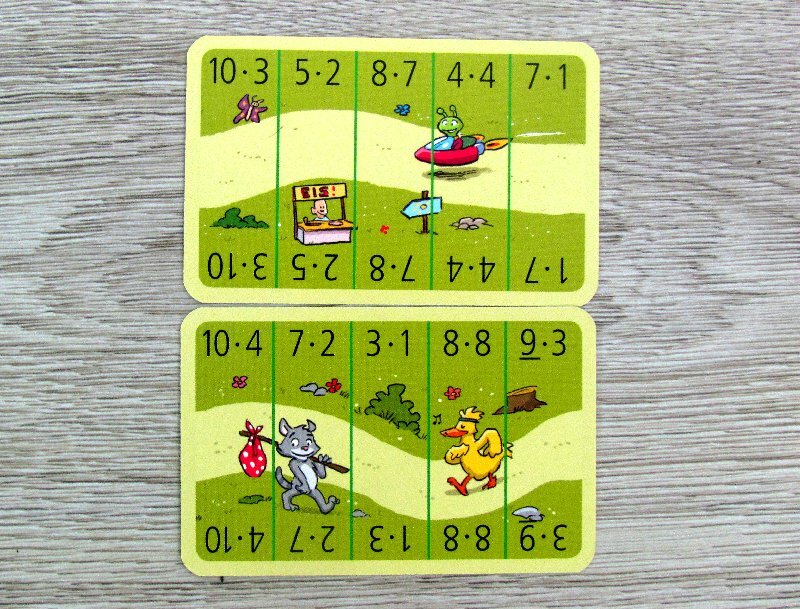 Even cards with numbers are double-sided. Players shuffle them and create a drawing pile on the table. 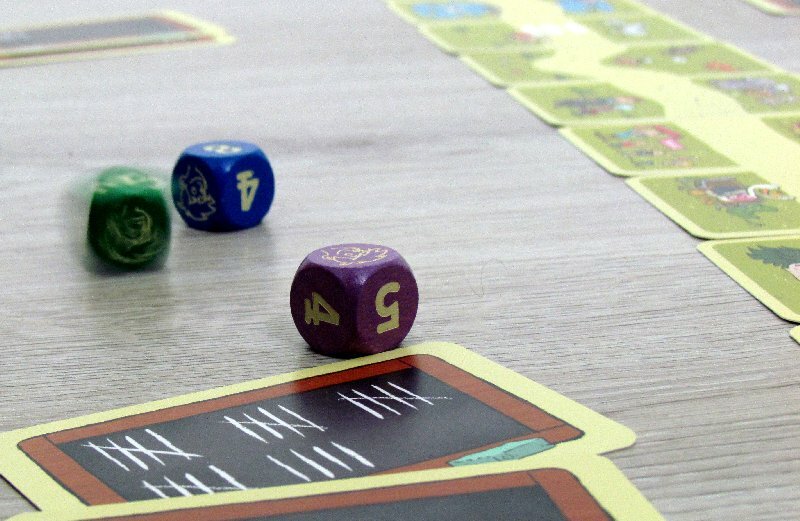 In addition, players will also need a dice. Player, whose turn it is, takes this die and rolls it, longing for nice result. 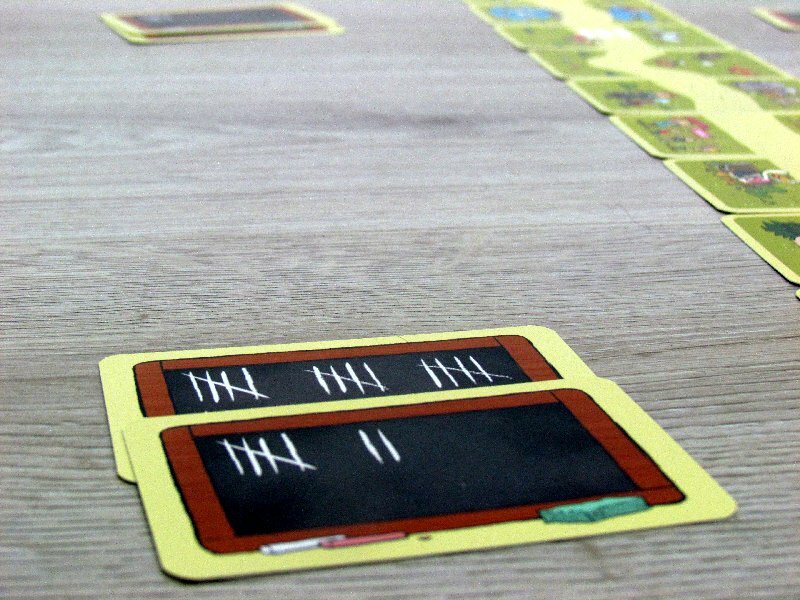 According to number of pips rolled, competitor moves forward and stops on the field with some example of multiplication. The player’s task is now to solve the example correctly. For a flawless calculation, he receives as a reward top card from the number pack and puts it in front of himself as a trophy. The game continues until the competitor reaches the finish line. At that point, the player with the highest number of cards will win. We have played the Multiplier Table Cup. 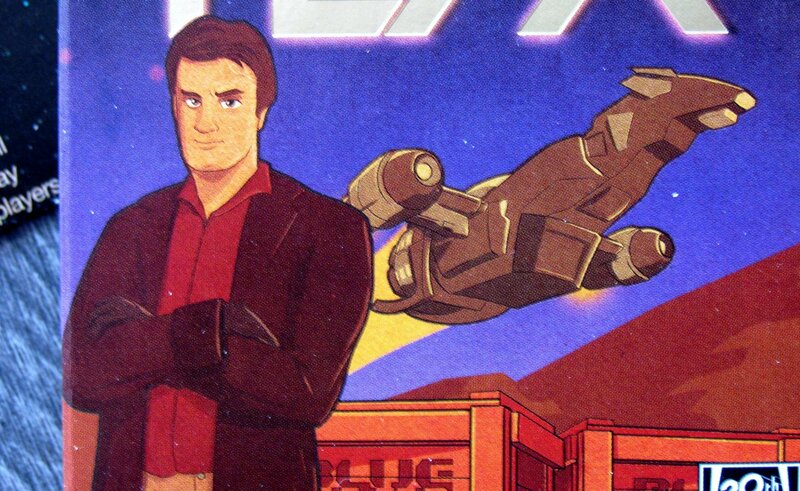 This is the third and most advanced version of this game. And it works on very simple mechanisms, which corresponds to the age limit for this box. 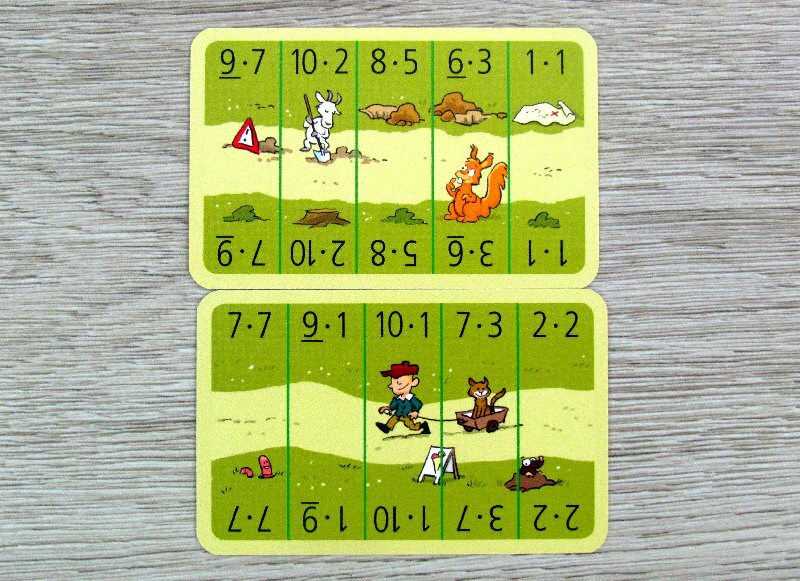 In another variation, which also uses multiplication, players compete in speed. Some of them rolls a die, but they do not move the character. Instead, they only find a position, where Rick should stop and answer as quickly as possible (based on the math formula). 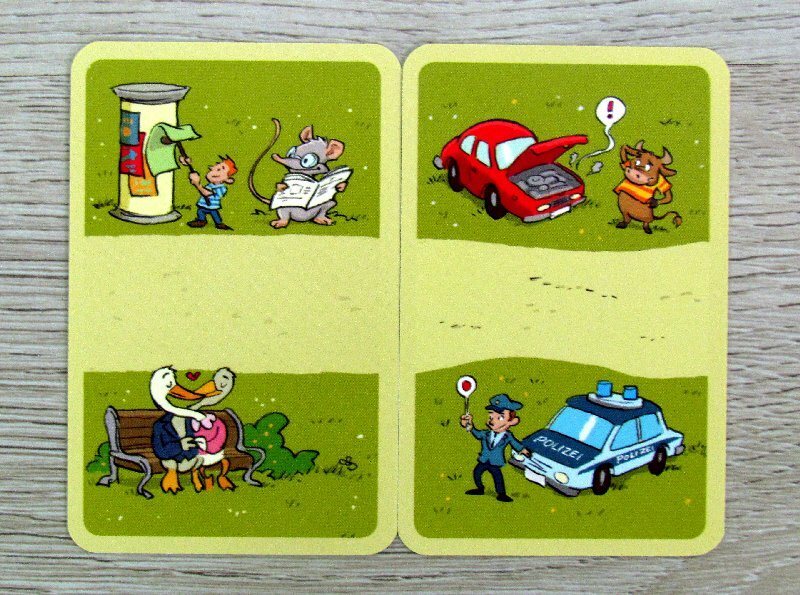 The card is given to the player, who was the first to should the correct solution. 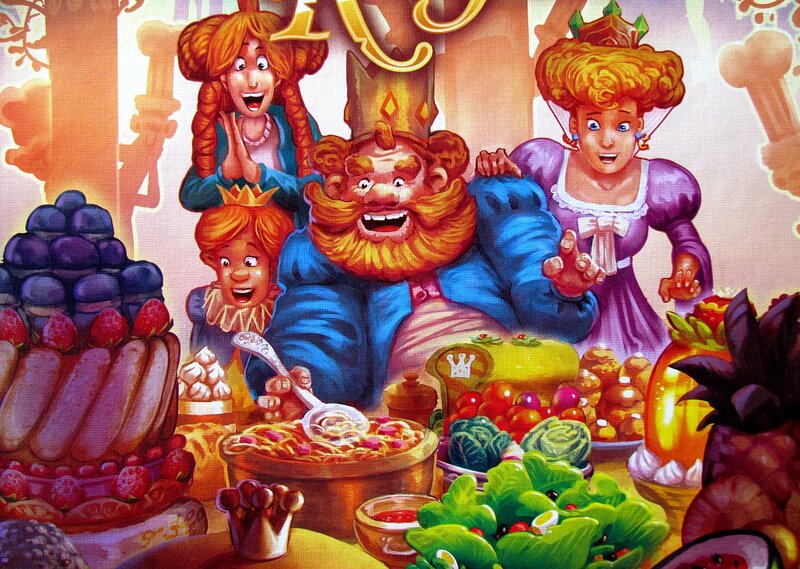 It is immediately clear, that parents with children may not be able to play this little game. For older players it’s all too simple and the kids would not have much chance to compete. 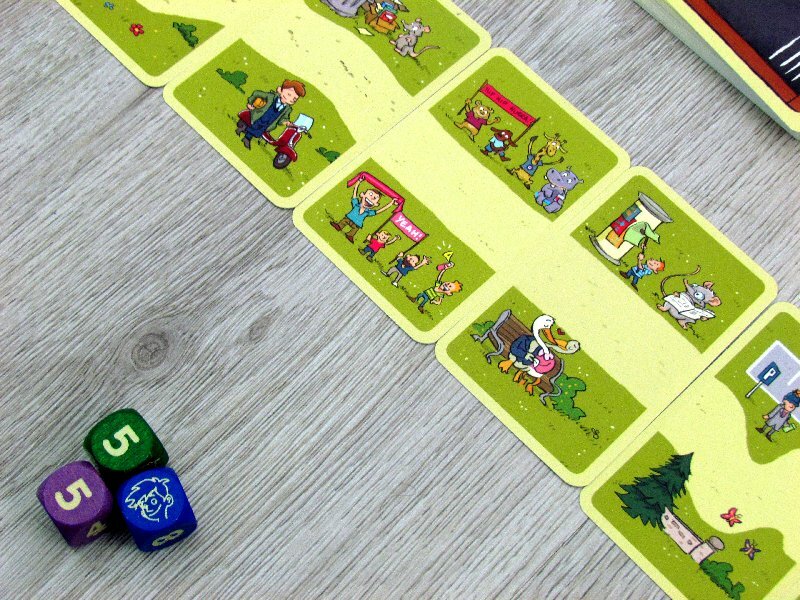 But if they battle with each other, then it is precisely the game, that little pre-school children (or first-timers) will enjoy and learn to count at the same time. And since the multiplier is only the second version, there are also two simpler alternatives. They use the other side of the cards, and if someone is on the turn, he throws a trio of dice. 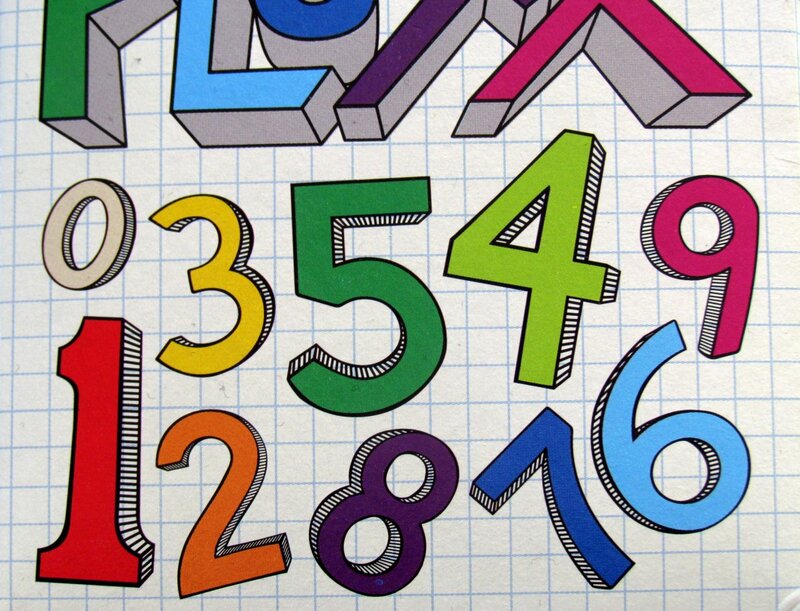 The task is clear: add all the values on to the dice. 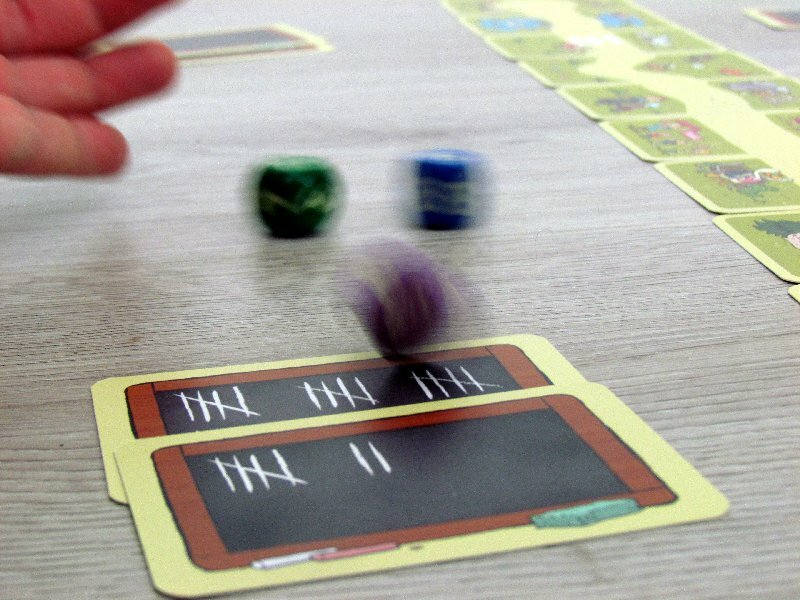 Again, there are two versions – the one, in which players have more time (and is therefore most suitable for some five-year-olds) and then the other more competing. Every number this time is only one in the offer. 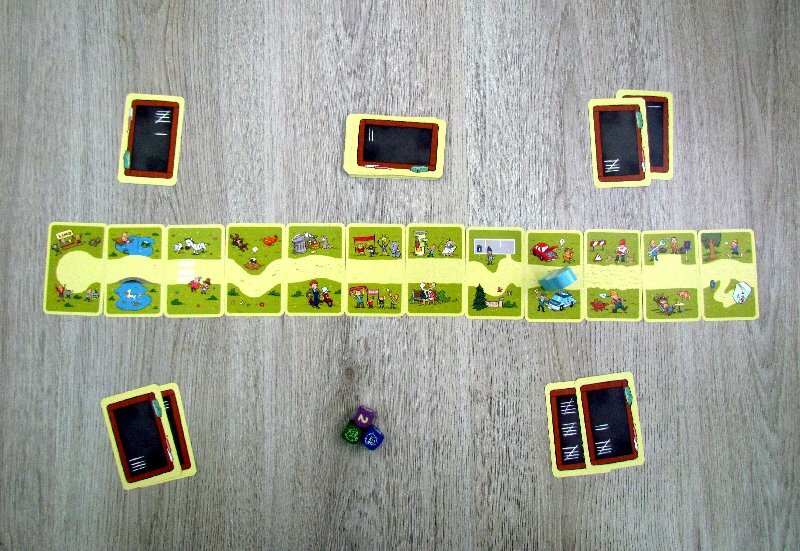 This is also the result itself, because the players will steal the cards between themselves. The fact that someone gains value does not mean, that he will hold it forever. Thanks to this, the predominance is constantly pouring back and forth and one win simply does not mean anything. This tug-of-war makes the race rally even more interesting, than the multiplier. For children, the gloom will be very funny. But it does not alter the fact, that the parents do not enjoy the fight with their children in this box. They will not play fully to give children a chance to gain some points. But can act as judges and guides. Now we can play all four counting variants. The combination of counting races is smart, because it masks well, that it’s just about a multiplier. Children are so much more motivated to learn something, because they are playing. 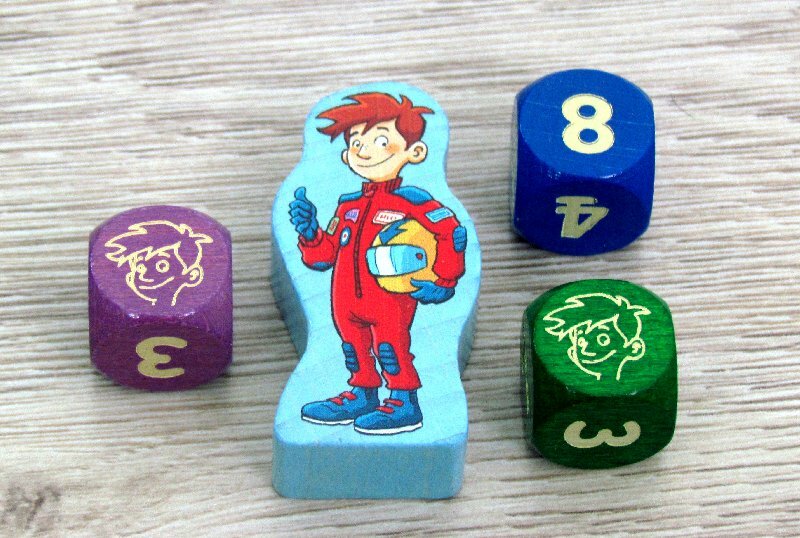 And if there’s a dice and racing game (though there is only a wooden pawn), then you do not have to convince them so much. There is nothing wrong with the game. 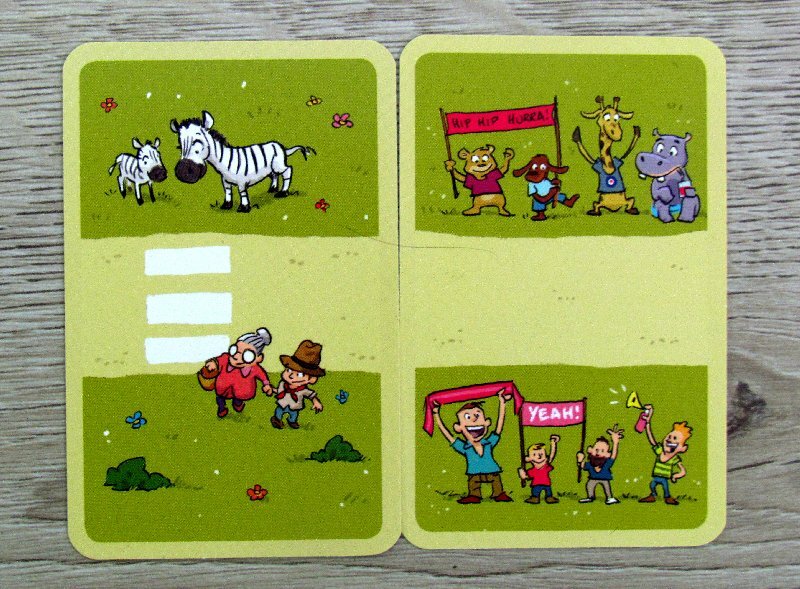 Four variants allow the game to grow with children for some time. But even so, the time will come, when its course is too simple for them. 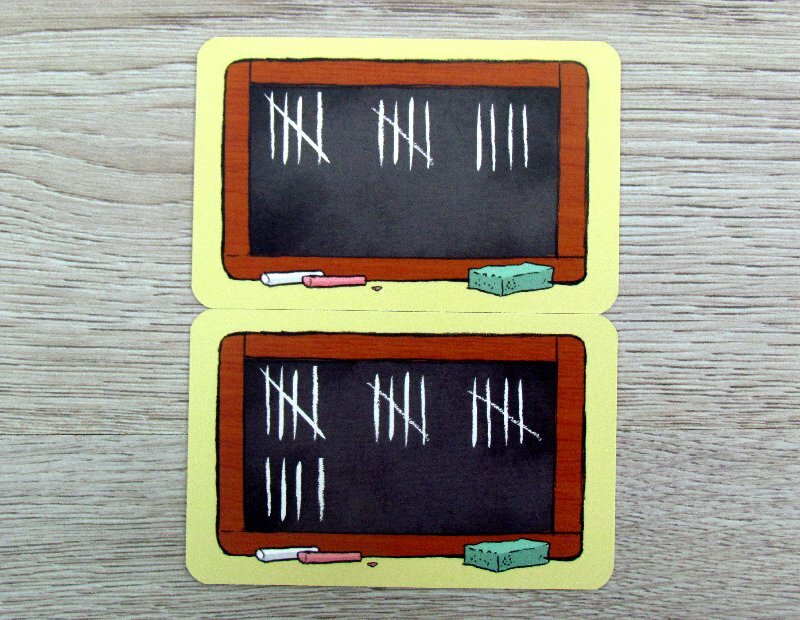 But this is somehow assumed in these educational games. Compared to the competition, however, this game will last a long time thanks to the different ways of playing. Rechen-Rallye also has a lot of work to do. 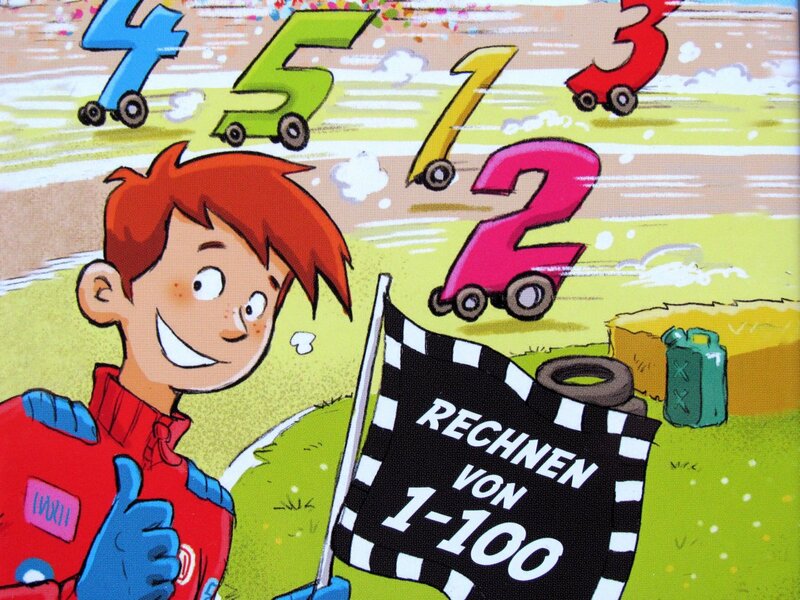 The tracks are lined with funny illustrations of various animal viewers, who encourage racers. The dice are wooden with numbers and metal box is nice to carry. 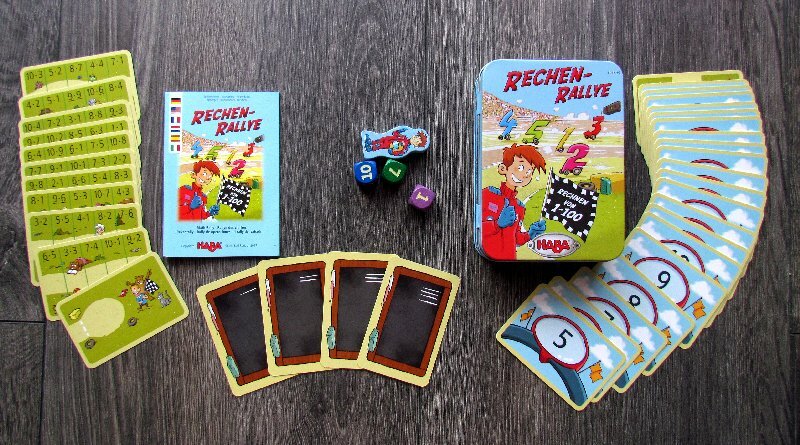 Rechen-Rallye is a fun card game for all small players.